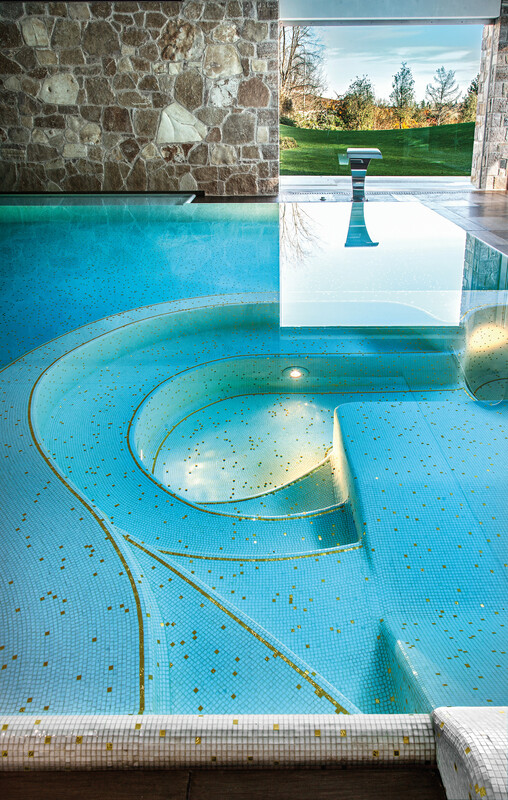 The breathtaking interior of this private home's Wellness Area is enhanced with glittering gold mosaic in the pool. 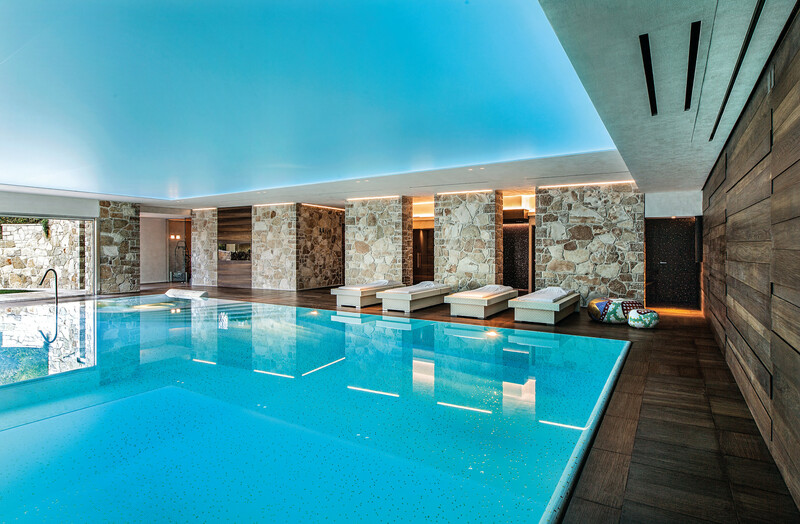 The breathtaking interior of this private home's Wellness Area is enhanced with gold mosaic in the pool. A departure from traditional, light-coloured pool mosaic, Sydney’s deeper hues impart a real aura of exclusivity. 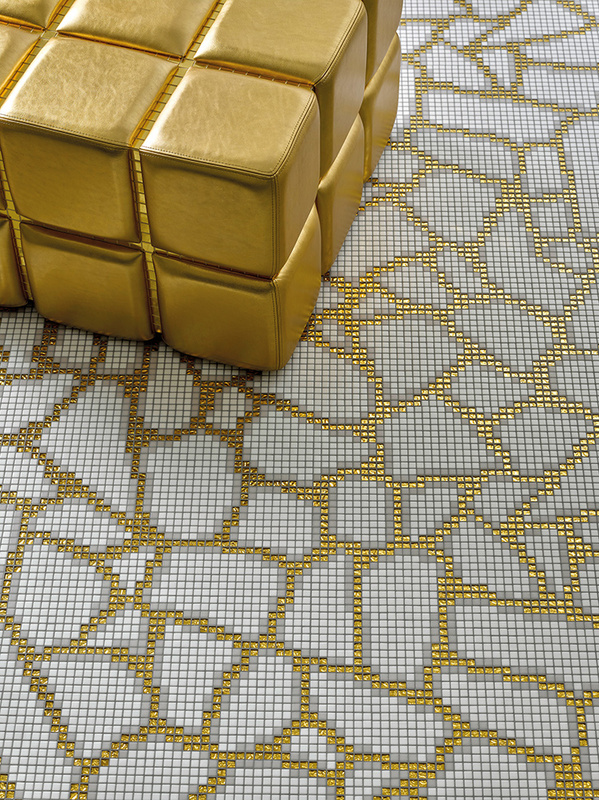 Post-Deco design is the energy behind the elegant, loops and swashes of the Arzigogolo mosaic. 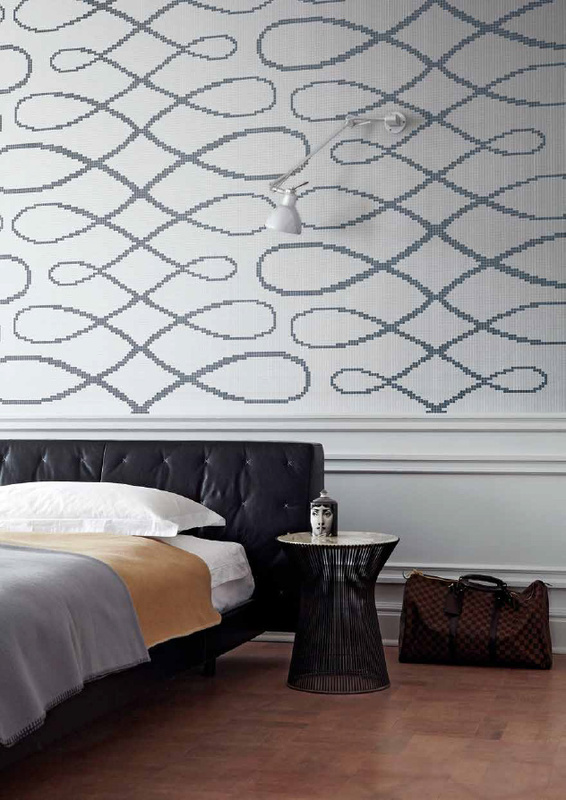 Designer Ferruccio Laviani describes his Arzigogolo graphic pattern as archetypal of the design of the 30s and 40s, drawing inspiration from the works of iconic designers from the period, André Arbus and Gio Ponti. 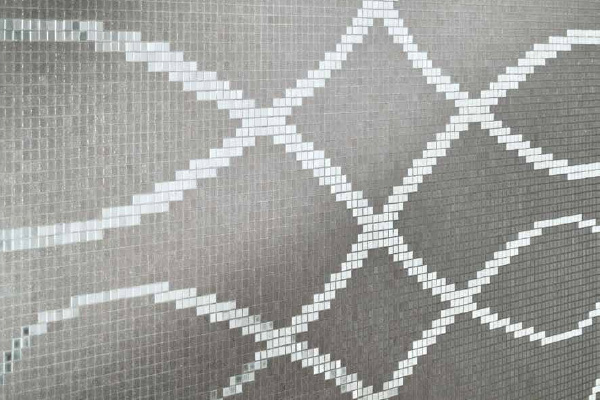 Arzigogolo Grigio (pictured) contrasts the warm/neutral grey of Bisazza VTC 10.56 with the white-gold mosaic ORO B 10.4, producing a simple yet highly refined pattern. The design is also available with dark loops on a white background – Arzigogolo Bianco, which contrasts white and grey Smalto tiles SM 10.90 and SM 10.35. Recognised for his aesthetic with symmetry and bold geometrics, Australian designer Greg Natale believes that when working with patterns, organics and geometrics should sit side-by-side to have optimal effect. 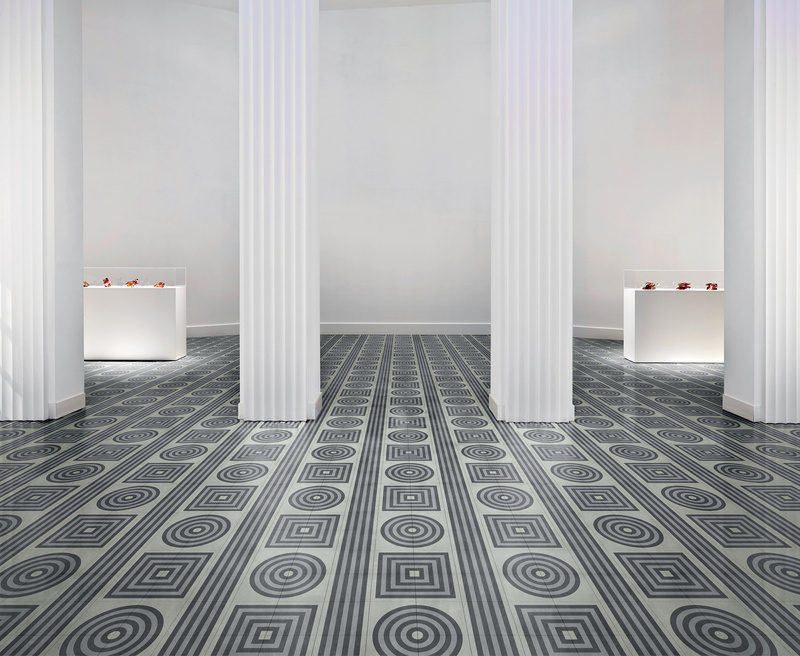 In his first collection for Bisazza, he wanted to explore how motifs that are so wild, uneven and random could be reinterpreted, attractively, within a medium as linear and unvarying as sheeted mosaic square tiles. I am really interested in the composition of things and looking at how the many parts of something are extended, repeated and layered to create an overall effect. The collection looks at pattern in this way. Rather than being bordered and regular this mass of small square tiles becomes an unending, looping, limitless decorative texture. The result is a collection of four decorative patterns, each one offered in a variety of colourways. Suitable for use as flooring and walls. 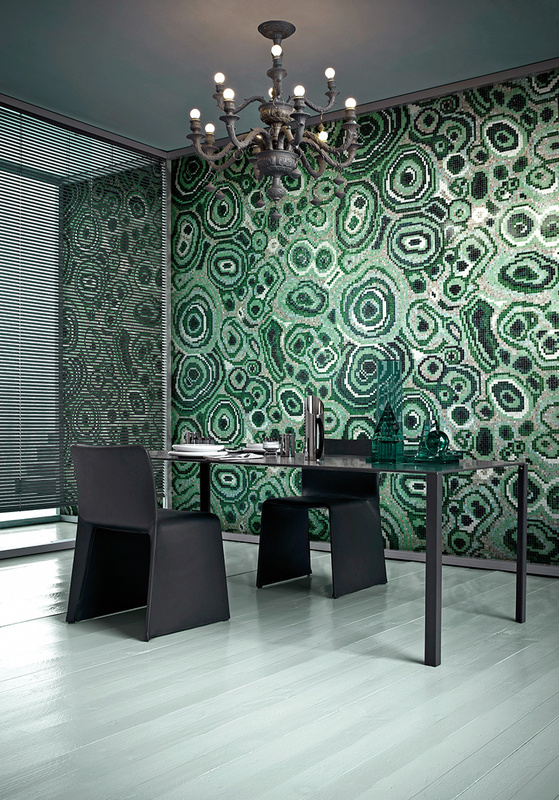 The malachite stone is a much loved crystalline structure than in section gives us vivid, radiating swirls of green. In New Malachite I played with the colour and we now offer a soft, rose and dusty pink hued alternative as well as a calm and soothing greyscale version. Fragment can evoke images of dry cracked earth, ice flow and smashed glass depending on its colours, but the beauty of it is in its simplicity and scale. Groove takes its cues from nature also, the brain coral of the Great Barrier Reef was the starting point for this undulating graphic. In nature, these lines are wrinkly and three dimensional. By flattening them out and they take a new graphic character that leads the eye and holds your interest. I love Moire as it is so alluring because it’s intangible and short-lived. It changes and shifts before your eyes. By taking a snapshot impression of the moire effect and reimagining it with mosaic tiles what is usually transient and ephemeral now becomes permanent and solid and beautiful. 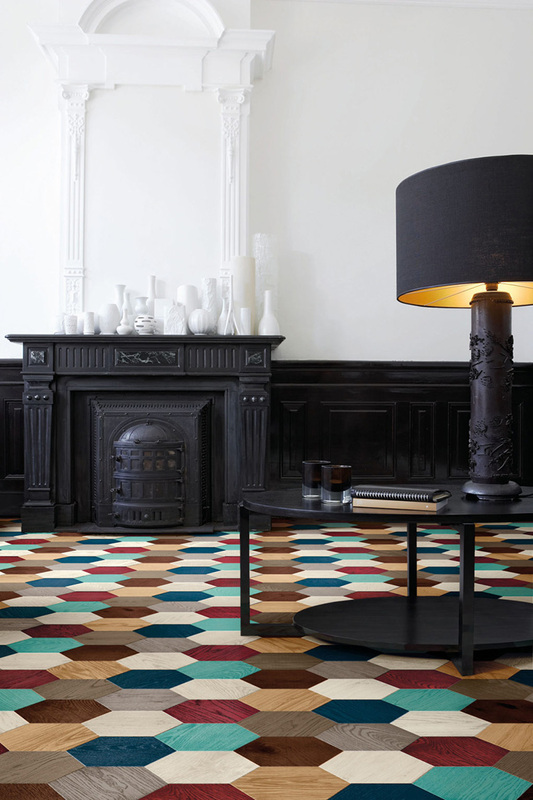 The new WOOD collection is a spectacular oak parquet floor, available in five sizes, ten contemporary colours and a collection of chic designer patterns. Enhanced further with laser etching, the WOOD collection includes some beautiful detailing which elevates it far above standard parquet flooring. The tiles are available in square and hexagonal formats, and consist of a 4mm top layer of Oak, fused to an 11mm base layer of birch. 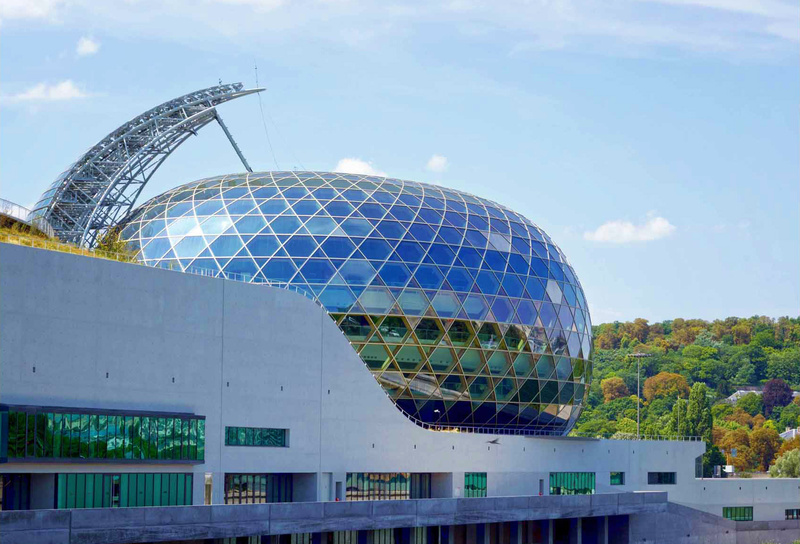 The flooring is pre-finished, with a high resistance to UV, and thanks to stringent production standards, has passed the most exacting tests for delimitation. 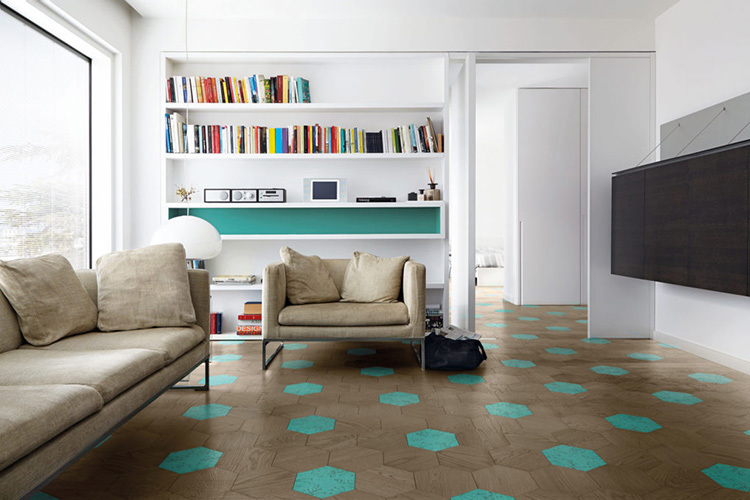 It can even be laid on floors with radiant heating. 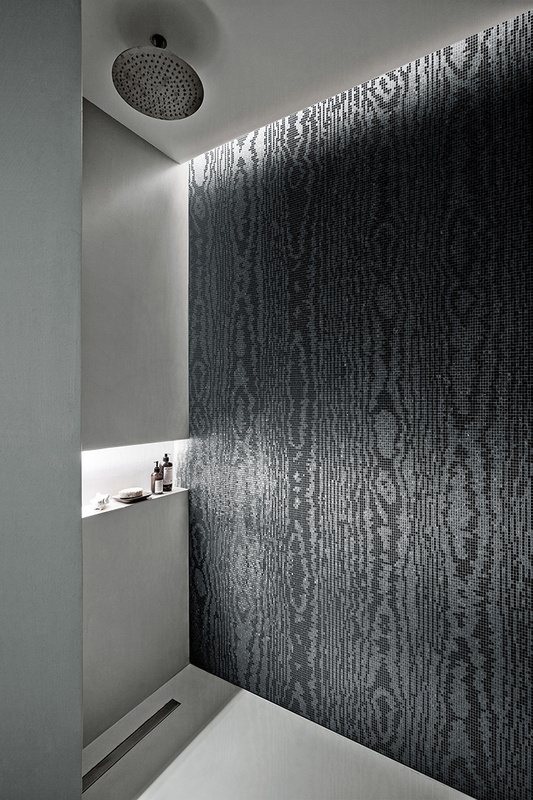 The size, shape and thickness of the WOOD collection perfectly matches Bisazza Cementiles, opening up all kinds of creative possibilities by combining the two. The range has launched with a collection of evocatively named contemporary colours including Sugar, Cherry, Denim, Mint and many more. 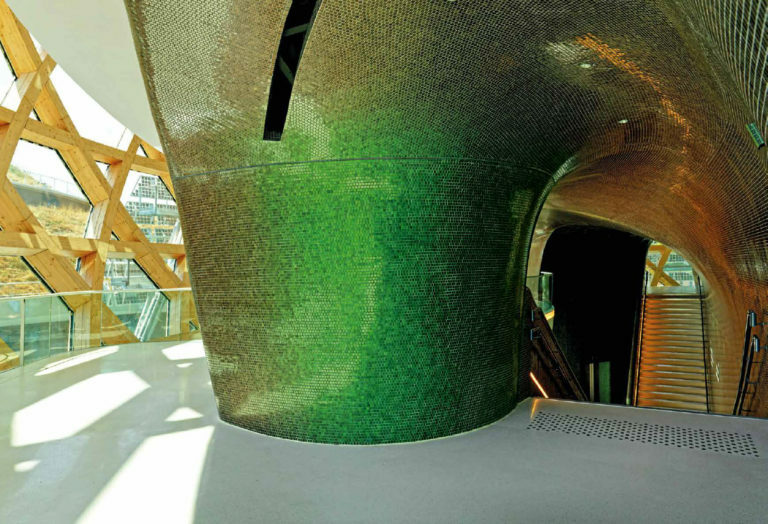 In addition, a wide range of patterns is available, thanks to contributions by leading international designers such as Studio Job and Kiki Van Eijk. See the entire WOOD Collection here. 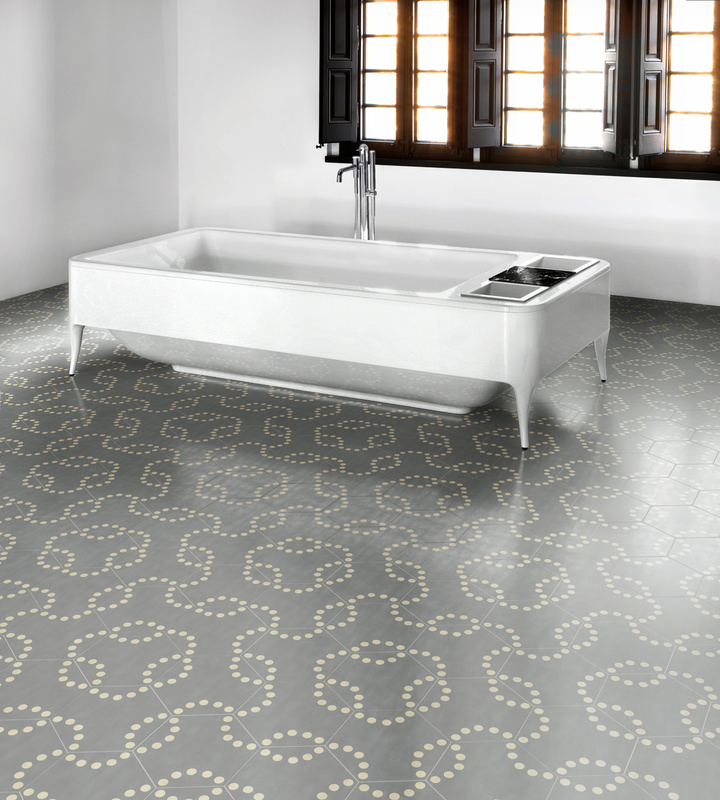 From modern geometric designs to classic motifs, the new decorative tiles from Bisazza bring breathtaking new possibilities to interior design. Traditionally, cement tiles were a popular feature of the palaces and mansions of nobility and the privileged classes during the second half of the 1800s and early 1900s. Entirely re-invented in a modern context, the collection is designed to celebrate the decorative style of the past through expressive artistic language that reveals the creative genius of each of the project designers: Tom Dixon, Jaime Hayon, India Mahdavi, Paola Navone, Carlo Dal Bianco, and the Bisazza Design Studio. More recently, the Campana Brothers have also added their name to this exclusive list. Made entirely by hand and available in two formats - 20x20cm squares or 20x23cm hexagons - each tile is a unique creation. This detailed and highly skilled craftsmanship adds allure and personality to the collection, which features a rich palette of colours and a sumptuous wealth of contemporary and classic graphic motifs. The result is a bold, modern and highly expressive new medium for interior design. 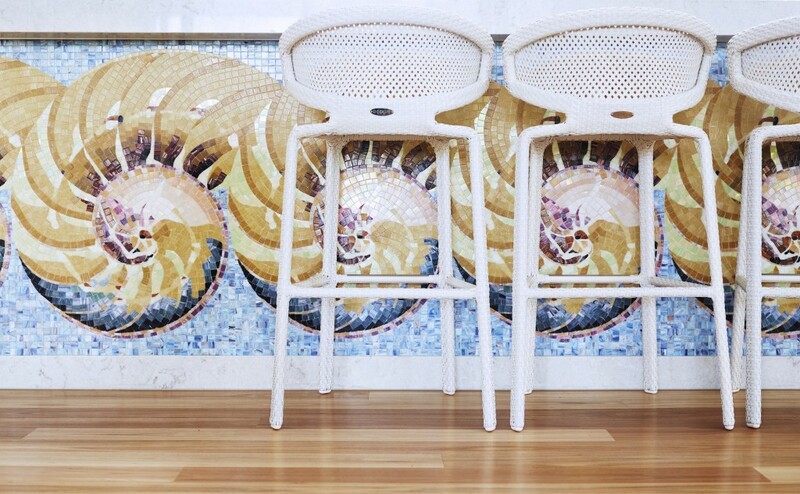 See the entire CEMENTILES Collection here. 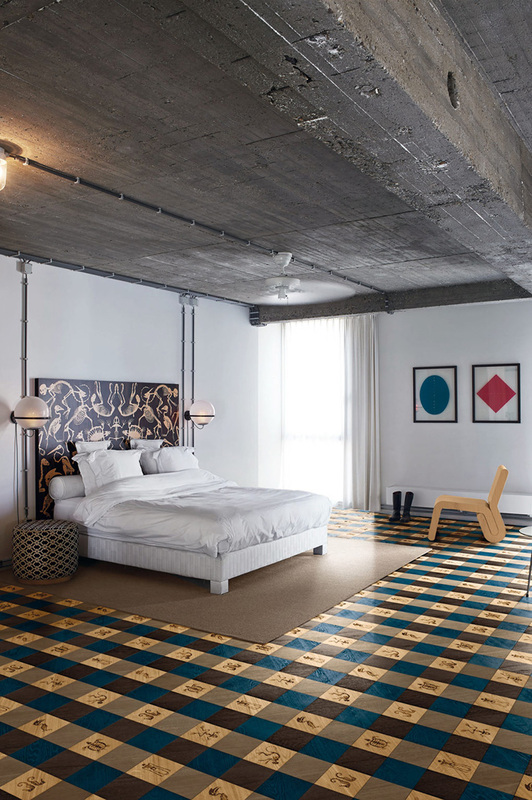 The Elements of Byron Resort, featuring Bisazza mosaic throughout the eclectic design theme, has won the 2016 SBID International Design Awards in the Hotel Design category. The Society of British International Design (SBID) is the professional accrediting organisation for the interior design industry in the UK. The organisation is part of a global network of 50,000 designers who are professionally accredited. 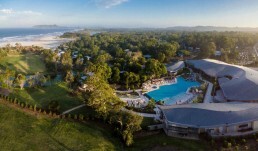 The interior brief demanded a world-class, 5-star resort for international visitors seeking authentic an Australian beach experience. 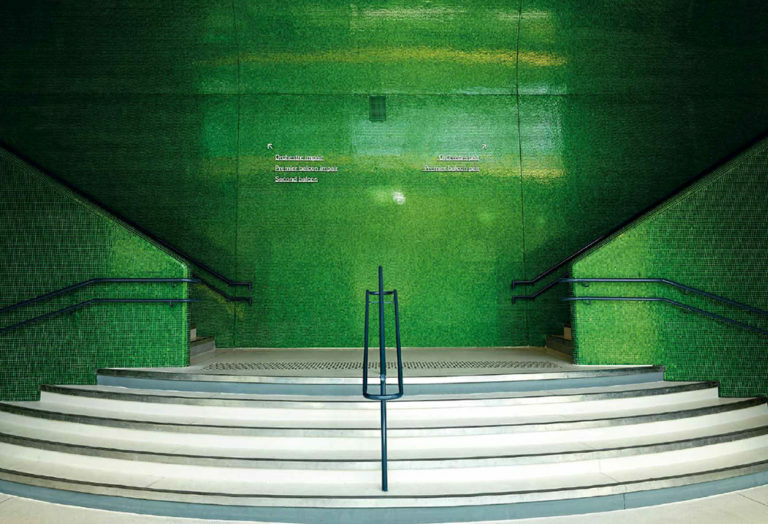 The Brisbane-based designers, Coop Creative, are extremely worthy winners of this prestigious award. 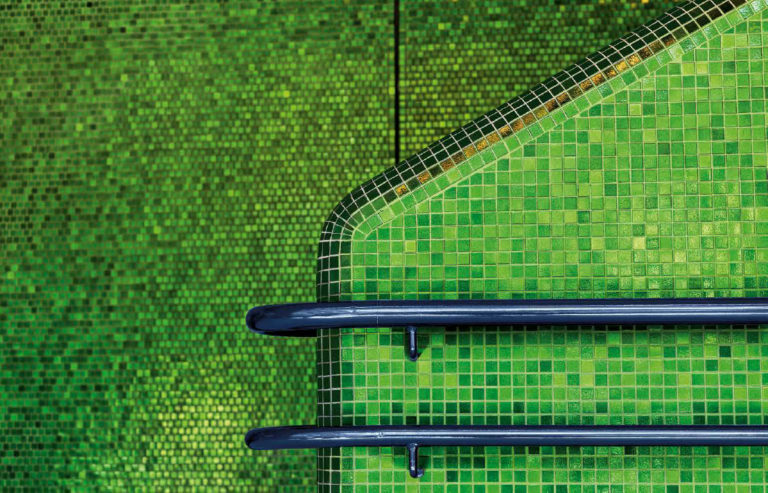 Bisazza’s first partnership with designer Ferruccio Laviani has produced some astonishing contemporary mosaic collections. ALBERT (pictured) along with GEORGE, WILLIAM and PHILIP are beautifully rendered, timeless designs inspired by Scottish tartan, which represent the warp and weft of woven fabric. “The weave of a fabric is much like the grid of a mosaic, which is why I used it as the basis for what would become the collection. I broke up the structural lines of the design and reinterpreted them with mosaic tiles in order to create a textured pattern that would maintain the same vibe as the material itself…” Ferruccio Laviani. ALBERT and Laviani’s other designs will be available in the Bisazza 2017 Collection. 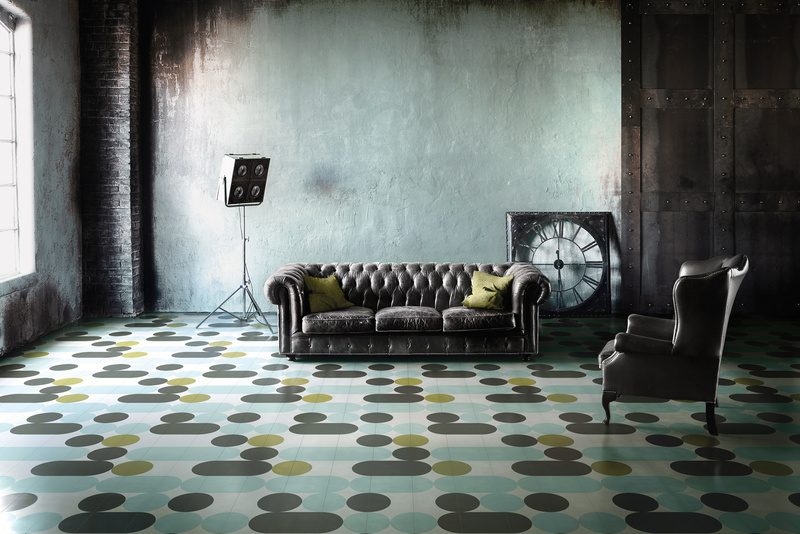 All the new Collections will be on display soon at the Bisazza Australia website. Combining harmonious shades from the FLOW collection, FLOW Blends are beautiful yet highly resilient mosaic patterns, making them a superb choice for pools. 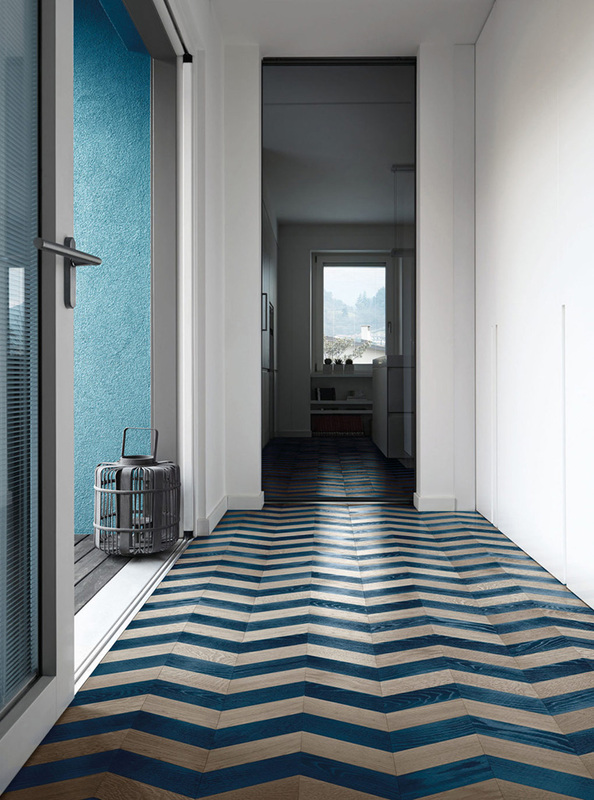 Durable yet alluring, FLOW is available in eight different blend variations with a tile size of 20mm x 20mm. 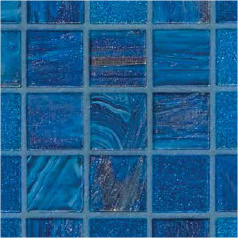 Pictured is Lagoon with Grigio Azzurro Fillgel grout. You can see more images of FLOW Blends here.